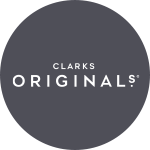 With true Clarks DNA, these lightweight sports casual shoes are incredibly easy-to-wear. Easy to slip-on thanks to the elastic guessets and heel loop tab, these leather shoes feature a textured vamp and authentic stitching for a crafted look. A durable rubber sole unit offers grip, while Ortholite® technology ensures maximum comfort.